The film is in theaters November 2nd and is based on E.T.A. 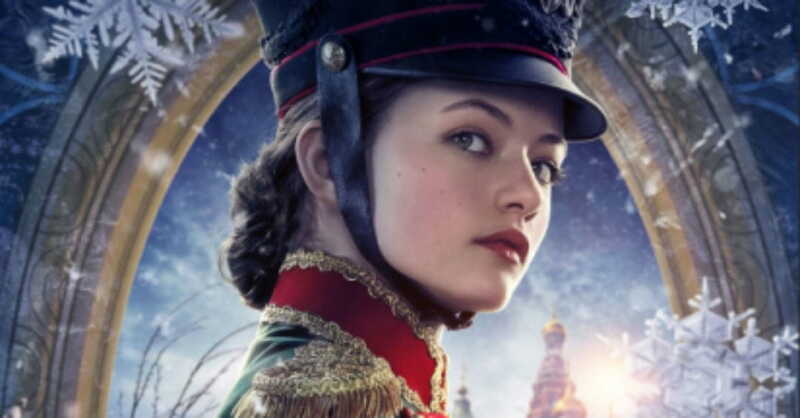 Hoffmann’s classic tale “The Nutcracker.” The Nutcracker and The Four Realms showcases the wondrous journey of Clara, who finds herself in the mystical world of the Four Realms, home to a host of eccentric characters and no shortage of surprises. It’s a story about one girl finding the courage to overcome her fears to help restore peace. We know this longtime beloved story will be a hit with families and a wonderful opportunity to re-visit this classic. The film stars Keira Knightley (Atonement, Pirates of the Caribbean), Mackenzie Foy (Interstellar, The Conjuring), Helen Mirren (The Queen, Gosford Park), Morgan Freeman (Invictus, The Shawshank Redemption) and ballerina Misty Copeland. The cast also includes: Eugenio Derbez, Matthew Macfadyen, Richard E. Grant, Miranda Hart, Sergei Polunin, Jayden Fowora-Knight, Omid Djalili, Jack Whitehall, Meera Syal, and Ellie Bamber.The film is directed by Lasse Hallström and Joe Johnston.